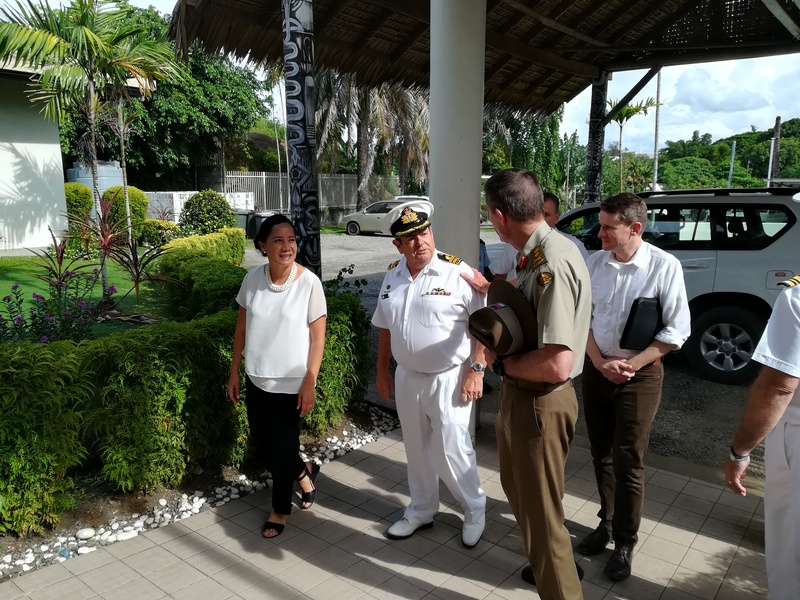 HONIARA, 25 January 2019 -- The Pacific Islands Forum Fisheries Agency yesterday welcomed the highest ranking military official from Australia, General Angus Campbell. 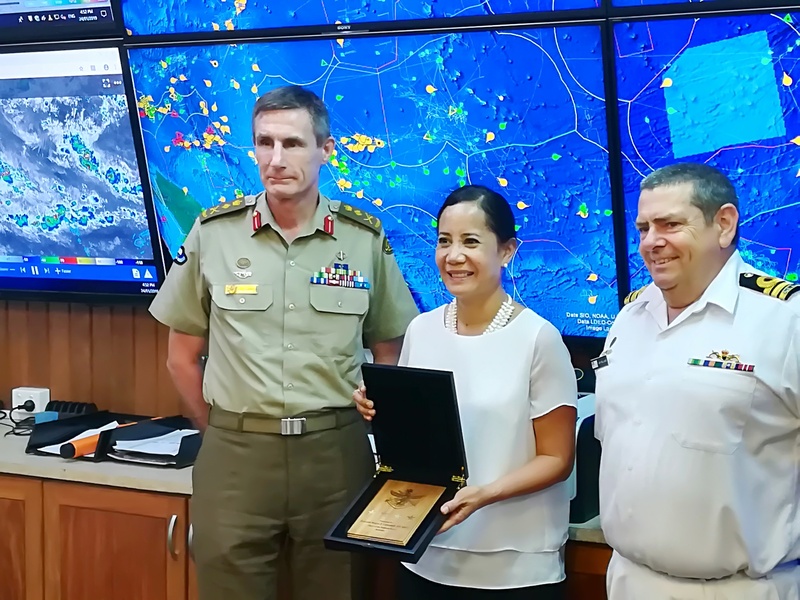 “The visit by Australian Chief of Defence Force, General Angus Campbell and his team is a reminder of the power of cooperation and is the platform upon which we enjoy excellent relations between FFA and Australia,” said FFA Director General, Dr. Manumatavai Tupou-Roosen. The visit provided an opportunity for DG Dr. Tupou-Roosen to update the team on the work of FFA, highlight the successful areas of collaboration with Australia, and discuss further areas for close work. General Campbell underlined the importance of FFA to the regional architecture and the future of the Pacific. He also emphasised the ‘whole-of-community value’ in the sharing of information and expressed his commitment to promoting this. Dr Tupou-Roosen sincerely thanked him for the successful partnership between Australia and FFA which includes the funds and assistance to FFA members in areas such as the aerial surveillance, patrol boat programme, the Niue Treaty Multilateral Subsidiary Arrangement (NTSA), Persons of Interest; and secondment of defence personnel at FFA. General Campbell was accompanied by Australian Federal Police Commissioner- Andrew Colvin, Border Force Commissioner – Michael Outram, DG Australian Security Intelligence Organisation - Duncan Lewis, Department of Defence Director General Pacific and Timor Leste International Policy Division and Chief of Operations Maritime Border Command - Jake Campbell and DA Wing Commander - Jonathon Durden.